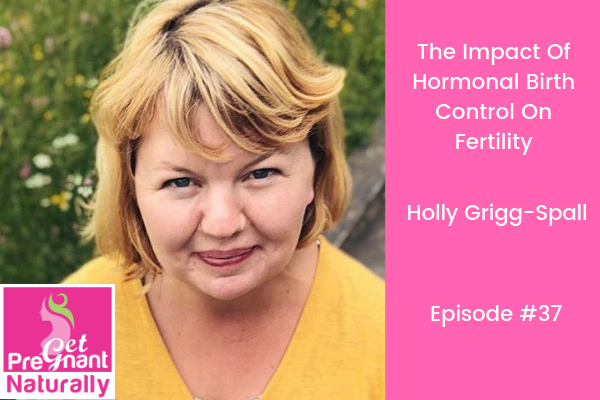 Today I’m welcoming Holly Grigg-Spall to the podcast! We’re digging into the impact of hormonal birth control on fertility. Holly is the author of the bestselling book Sweetening the Pill: Or How We Got Hooked On Hormonal Birth Control. She is consulting producer on a documentary inspired by her book, directed by Abby Epstein and executive produced by Ricki Lake, which is currently in production and due for release in 2019. If you are like me…when my period became irregular in my early 20’s and I started getting acne, I went to my doctor and I was prescribed hormonal birth control. I started taking the pill…for years…until I wanted to get pregnant. When I went off the pill I was diagnosed with premature ovarian failure (POF) at 28. Did the pill compromise my gut health, lead to nutrient deficiencies and ultimately my infertility…or was it the food sensitivities and gut infections..its hard to know which was first. Bottom line…no one stopped to figure out WHY my period was irregular….and that’s the case for the women that come to see me….who years later are struggling to conceive. What I do know is that using the pill as treatment for our period is entirely the wrong approach. And this is a HUGE issue as over 80% of women are prescribed the pill! This episode is a call to action! Yes hormonal birth control was and still is seen as liberating for women, but years later the impact on women’s health and fertility is only now being discovered. Short and long term side effects of the pill. Plus which brands are especially harmful. How the pill impacts gut health and nutrient levels and what you can do about it. The impact of methylation (especially for someone with MTHFR gene mutation) plus how the thyroid is impacted.